When it comes to dorm room decor, your Twin XL bedding is the first place to start. You want your extra long twin bedding to match all of our other dorm essentials to create an atmosphere that is uniquely you. The Bedside Pocket Twin XL Sheet Set - Supersoft Ocean Depths Teal is the perfect way to start off your dorm bedding. 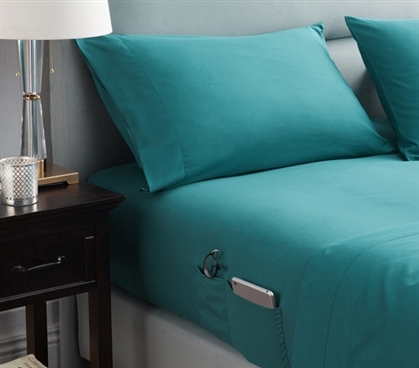 With a bright teal color, your dorm room will truly feel like your own personalized space. The Bedside Pocket Twin XL Sheet Set is also incredibly comfortable, with 90 GSM microfiber to ensure that you get a quality night's sleep. This extra long twin sheet set also features two pockets which rest on each side of your dorm room bed. These pockets can hold your glasses, your phone, or even a small book to make sure you can reach whatever you need while lying in your college dorm bed. 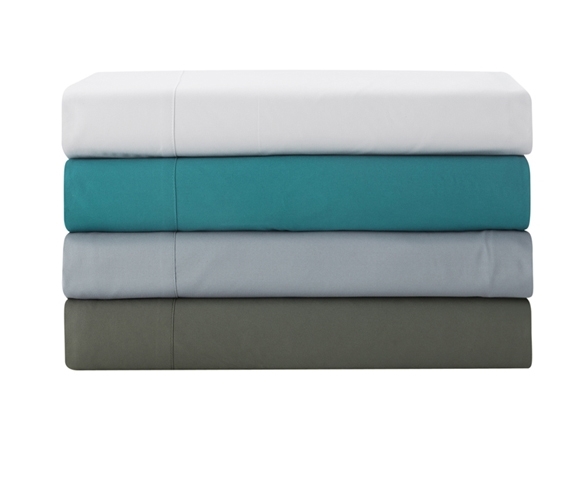 Your Twin XL Sheet set is truly a dorm room essential.